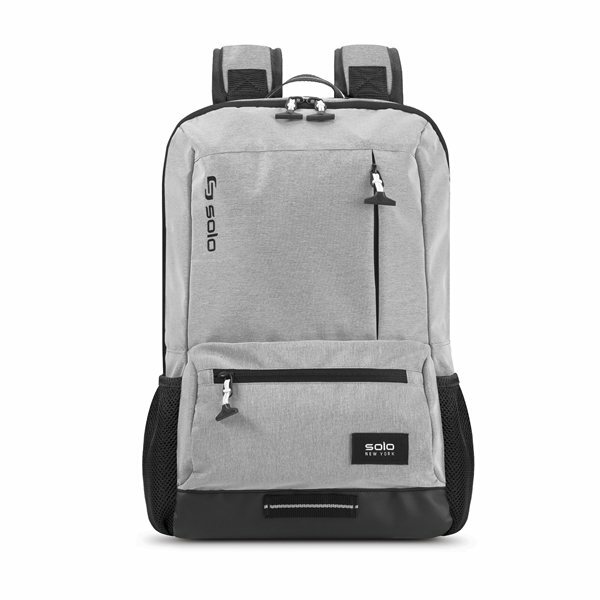 Our Solo® Draft Backpack from the Varsity collection is the perfect campus companion or office grab bag. The lightweight, nylon fabric makes for a pack that will rest easy, travel fast and hold your on-the-go items within easy reach. 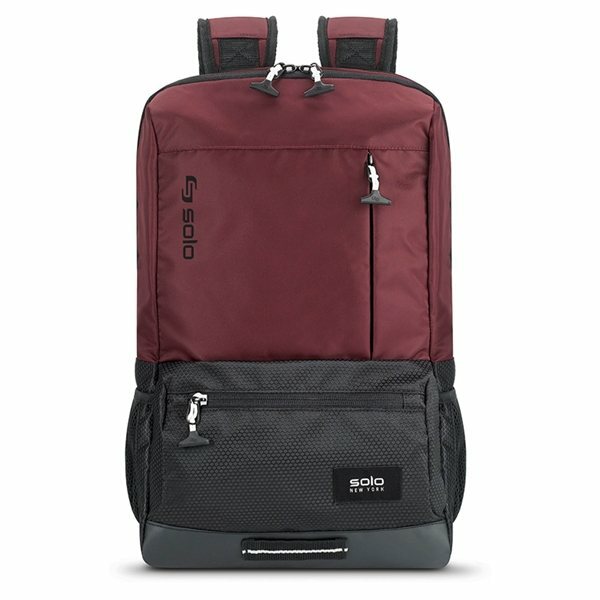 Two outer pockets (one vertical, one horizontal) hold all your essentials and a padded 15.6" laptop compartment and tablet pocket with hook and loop system hold your electronics in place. Each zipper features a sports pull for easy access. Two side mesh pockets, backpack straps and a top carry handle complete this essential bag. Includes 5 year limited warranty.